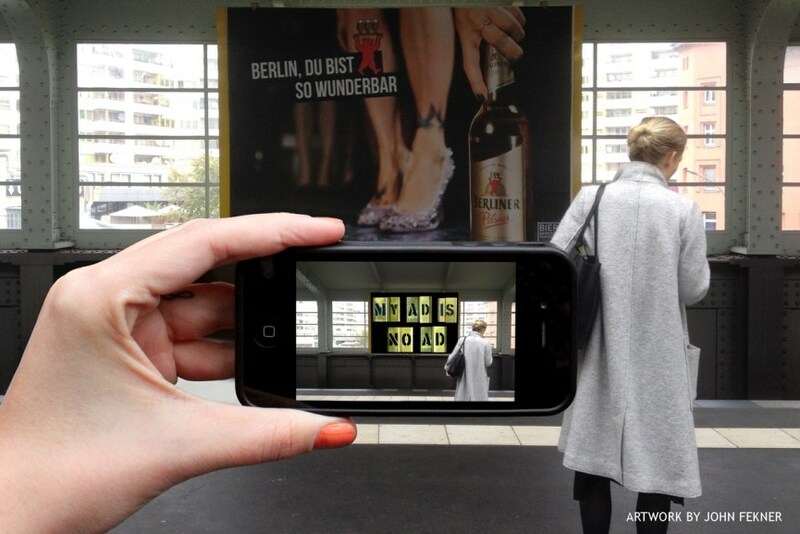 No Ad App Turns Advertisements into Street Art – in Berlin ! If you take a look at panorama of some big city in the world, you will probably see some huge billboards around. These huge outdoor advertising structures might ruin your view, right? If you use public transport, there is a big chance you will be “forced” to read commercial messages from the advertising posters on bus, train or subway stations. Commercials and advertisements are all around us (in public and virtual world), and sometimes it can be exhausting – we are living in a world when it is difficult to absorb so much information. Imagine if you could transform ads into art! Well, it is possible thanks to the No Ad App (mobile application) created by Re+Public. This application has just been launched in Berlin! No Ad App in Berlin ! 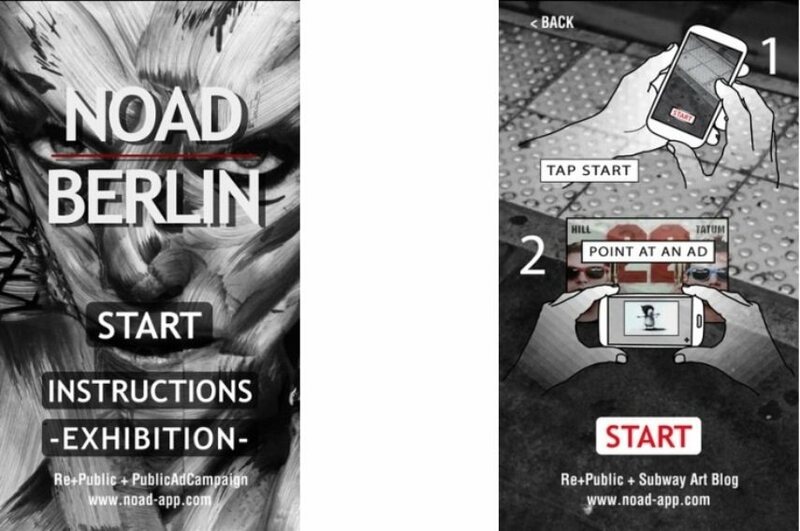 During the Berlin Art Week 2015, OPEN WALLS Gallery and PublicAidCampaign introduced No Ad App on mobile phones, in order to replace Berlin’s top ads with digital art using augmented technology. The basic concept of this amazing digital exhibition is to propose new strategies for art consumption as well as challenge the use of our public space for commercial messaging. The No Ad works by using your mobile device and augmented reality technology to recognize outdoor advertising and overlay digital artwork in place of the advertisement on your phone or tablet. So, instead of classic advertising poster, you will see an amazing piece of street art. While you are using Berlin subway system, you can just point your device at any advertising poster, and it will cause the device to overlay curated digital art content, creating an augmented experience that blocks unwanted advertising. But, the application is not limited only to the subway system – you can point your device at any billboard in Berlin. The first experience with the No Ad App had the citizens of New York City. No Ad app turned everyday wait at Big Apple subway stations into a magnificent art experience. The application contains works of more than fifty street artists. 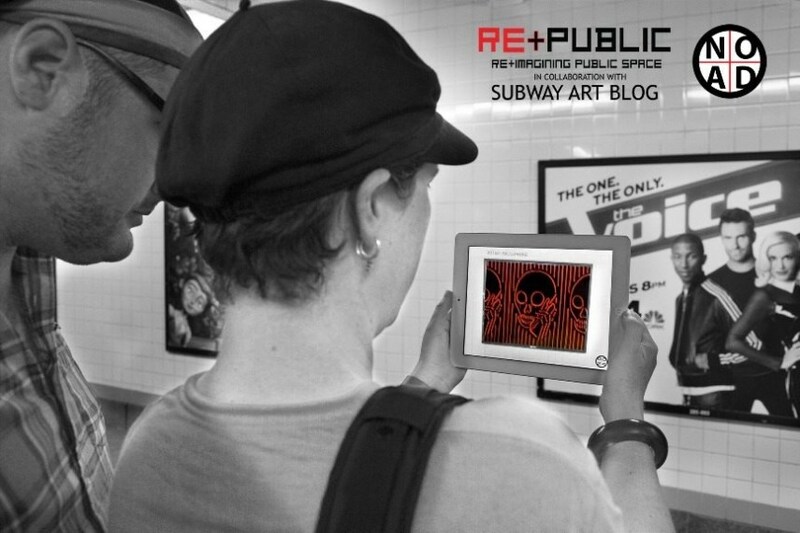 The app is turning every subway station into a mobile gallery. In Berlin, the No Ad exhibition space uses the vast network of outdoor, and subway billboards found throughout the city. And, it’s not only about street art – No Ad exhibitions include photography, painting and animation works as well. The images and artworks that will be in use in Berlin are taken from a collection of past No Ad NYC exhibitions. 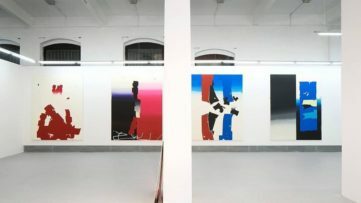 There is an international selection of artists like John Fekner, Just, Various&Gould, Alias, BR1, Thomas von Wittich, Vermibus, Mina Hamada, DosJotas, JAW, Aïda Gómez, SP38. The developer of the application is Jordan Seiler, and was created by Re+Public. 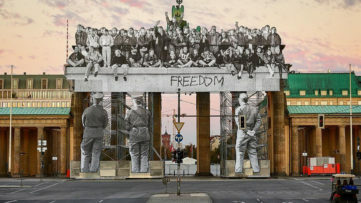 Thanks to the OPEN WALLS Gallery and PublicAidCampaign, this amazing application and initiative is available in Berlin! What do you have to do? Just download the App. You can download the IOS version here, and the android version here. Your opinion is valuable to us! Please join us for a discussion on our Facebook page.